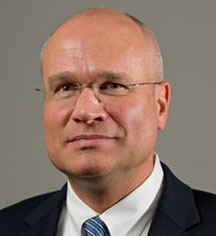 WAYNE P. NAEGELE, CPA, is a graduate of the Bernard M. Baruch College of the City University of New York, and received his BBA degree in Accounting in 1982. He began his career on the tax and later audit staff at the New York offices of Coopers & Lybrand. Wayne teamed up with Andrew Presti to form Presti & Naegele, continuing their partnership for over 25 years. Additionally, Wayne formed an independent firm Wayne P. Naegele, CPA to provide accounting and financial statement services to a wide variety of clientele. Wayne brings a unique blend of professionalism and knowledge from his experience and training on numerous large audit and tax clients at Coopers & Lybrand and combines this with over 30 years of experience working with small and medium sized businesses and individual tax clients. His education, training and experience with all sizes and types of businesses and individual clients and his ability to manage and train professional staff has helped to build Presti & Naegele into a valuable resource for the firm's clients. Wayne is a member in good standing of the American Institute of Certified Public Accountants as well as the New York State Society of Certified Public Accountants. Wayne is an Advanced Certified QuickBooks ProAdvisor and is also a licensed health and life insurance agent.